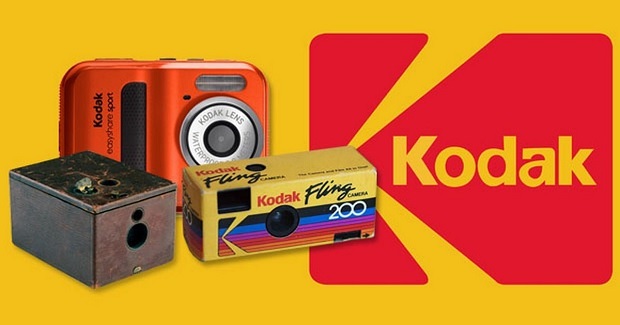 Entries from Digital Intelligence tagged with "next"
Next is facing a ‘Kodak moment’ according to analysts at Berenberg, suffering from the effects of a ‘wait and see’ attitude towards the e-commerce shift which they were early to identify but slow to adopt. 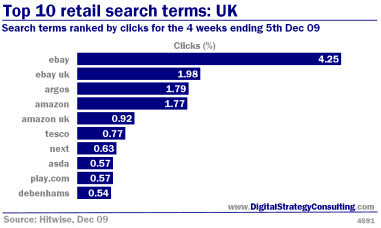 Searches for ‘facebook’ now account for 2% of UK searches, while four retail brands are among the top 10 brands, according to new research. High street clothing giant Next has said strong online growth has compensated for a faster decline in sales through its shops. Next said revenues in its 520 stores fell by 3.3% in the three months to October 29, compared with a 1.8% fall in the previous six months. The latest figures also included a 3.4% boost from new store openings. Clothing store Next was the highest riser amongst UK online retailers during July, according to the latest ‘Hot Shops List’ from Hitwise and IMRG. Travel websites bounced back this quarter with all of the major travel brands rising up the rankings since May 2011. 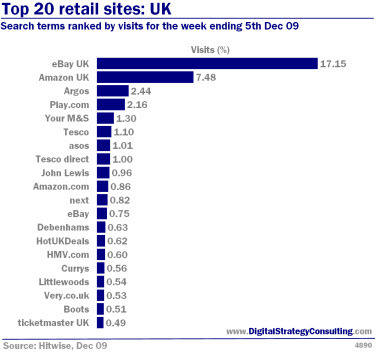 One in five websites in the Hot Shops List this quarter came from the travel sector. Having dropped out of the Top 50, cinema brands Odeon (ranked 37th) and Vue (44th) both returned to it this quarter. Cineworld also rose up the rankings in a strong three months for the movie industry.